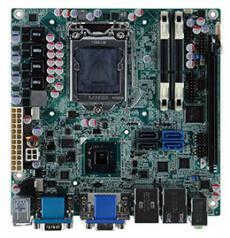 MOTHERBOARD -- our industrial motherboards are offered in ATX, Mini ITX, Micro ATX, LPX, and small form factor varieties. Our motherboards are equipped with Core 2 Quad, Core 2 Duo, Pentium M, LX800, VIA C7, Athlon, Turion, Sempron, Pentium 4, Celeron D, and Celeron M CPU support and are offered in KINO, IMBA, IMB, EPIA, and POS series. Our assortment of motherboards includes the Mini ITX Motherboard, which supports various socket options and processors, and offers dual to triple HDMI, and DVI, among many more. Additionally, both our Micro ATX Motherboard and standard ATX Motherboard support 22nm LGA 115 Intel Core Pentium and Celeron. 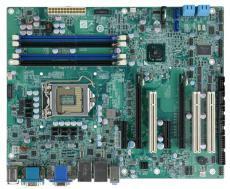 The Mini-ITX motherboard is a 17 x 17 centimeter (6.7 x 6.7 inches) low-power single board computer commonly employed in small-configured computer systems. Originally produced to provide fanless cooling within low power consumption systems, mini-ITX motherboards were commonly used in places such as home theater PC systems, where their fanless operation would not overpower the cinema experience. The Mini-ITX board’s four mounting holes evenly line up with the four holes in ATX-specification motherboards, and the locations of both the backplate and expansion slot are also identical. Thus, if desired, Mini-ITX boards may be employed in cases designed for ATX, micro-ATC, and other varieties of ATX. 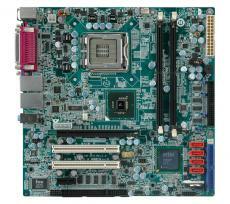 microATX boards are standard motherboards designed for backward-compatibility with ATX, and their mounting points are a subset used on full-size ATZ boards. In addition, their I/O panels are identical, meaning that mircroATX boards may be used with full-sized ATX cases.